This is the last catch-up manicure hopefully. I still have to get today’s nail art on my nails and out, but hopefully I haven’t picked something that will take too long. So the 25th #31DC2017 prompt is Inspired by Fashion and I debated quite a bit on what to do. 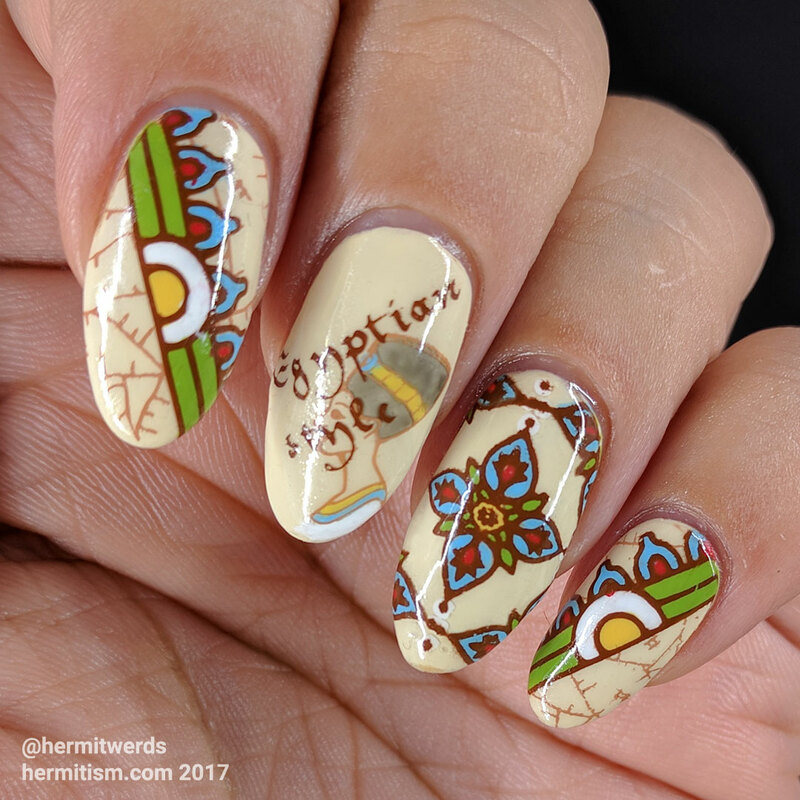 I still have some Ejiubas stamping plates that haven’t been used yet and one conveniently had the phrase “Egyptian Style”. Horse led to water, drinking. I wish I’d kept trying to shrink the phrase because the only way it fit on my nail kinda ruined the decal underneath it. Oh, well. 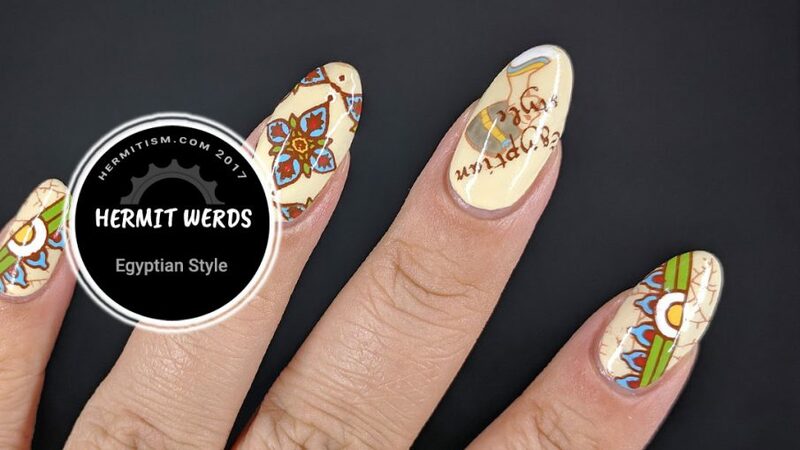 And since it’s fashion related, it also fits into #nailchallengecollaborative’s Inspired by a garment. Mummy bandages are a kind of garment (although I picked the colors based on an image search for Egyptian patterns). Terrific! Love how you positioned everything and the colors too.